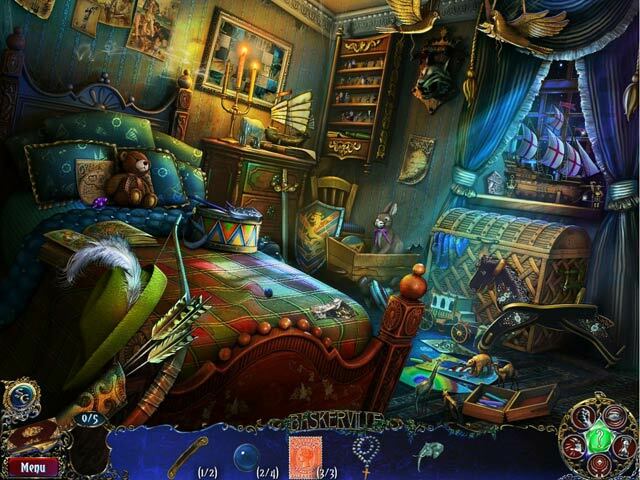 Rated 5 out of 5 by Lioness901 from I deduce this to be an excellent HOG Being a huge fan of Sherlock Holmes I just had to buy this game and it's an excellent HOG. I kept wondering if that huge dog would come after me as I played it. This keeps to the character of Sherlock Holmes which is really good it also keeps for the most part to the original story. There is a slight change in the story from the original but I like the change in this game. Rated 5 out of 5 by frequentfrog from Fun but brutal and bloody Confession: I admit I am quite a fan of Frogwares Sherlock Holmes games. While each one is vastly different in tone and play-mode, they have yet to disappoint me. The Hound is one of my favourite Holmes-stories and while the game deviates tremendously as soon as you reach The Baskerville Mansion, the game is manages to stand on its own. I loved the voice work, it worked very immersive. The sounds when changing sceneries were a bit overly dramatic, the first few times I expected the Hound to be right in front of me the way the music pitch went up. The puzzles and HOG were varied. I played in easy mode and there were two I really struggled with. I liked the inclusion of the achievements/honors, usually that sort of stuff is reserved for the extended/special editions so it's nice to see it included here as well. Perhaps the only down side of the game in my eyes is the story-line, specifically in it's conclusion. The game takes the original story straight into fantasy territory but it's never properly explained. I was expecting Sherlock Holmes, Mr Logic Incarnated, to dig deeper into this, but he takes it all in his stride. 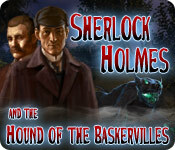 One does expect from Holmes to be as interested in how and why of things as in lifting the curse of the Baskervilles, but if he came up with a logical explanation of the events in the game, the player never learns it, which is a shame. I wonder whether the ending was originally meant to be longer. There is a hint half-way through the game that maybe you're being deceived by someone, and that what you're doing is not in your interest but that element is then promptly forgotten and plays no further part in the conclusion. Was it merely a device to raise tension for the player or was there supposed to have been more about it? I don't know but it leaves the players with some 'why's and 'how's that stay unresolved and that's a pity. Rated 5 out of 5 by cowclaudia from Great game Have owned this game for two years and played it several times and just now realized didn't write a review. I thoroughly enjoy this game and have no idea why anyone would need a strategy guide or a CE. It's very straightforward, hint button loads fast, mini games are pretty easy (with the usual exceptions and only gripe skip button is very slow). Naturally you're at Baskerville Hall tracking down the hound with Holmes and Watson. Scenery is very eerie and very well done and I definitely recommend this game. Rated 5 out of 5 by smizzla from Addictive! I absolutely loved this game. The story was interesting, gameplay was great, overall a really fun game. Rated 5 out of 5 by andibeard from A Great HOA Game! The plethora of 5-star ratings is deserved here! This game is challenging without crossing the line into "pointless and frustrating," the balance between story and game is very good (except toward the end, when the adventure/puzzles become a bit more arbitrary and the HO scenes are briefly more frequent), and the visuals are pleasing. There is a fair bit of dialog/story and lengthy cut scenes, but these can be skipped easily without really losing out on anything important. I was suprised by the relative challenge of the HO scenes as well as the minigames--these days a really decently challenging HO game is hard to find--and though the Adventure aspect of the game was not always immediately obvious, the solutions always made sense in the end. The map was a great help in navigating from one scene to another. I do wish that these games would have "hint" options within the minigames (sometimes I'd just like a little boost instead of skipping it entirely!) but otherwise I have no quibble at all with this game. I wish I'd bought the CE! Rated 5 out of 5 by Streva from Winner of the Most Varied Puzzles in a Single Game! Every different type of puzzle was in this game which made it so much fun. Plus, although I played the Standard Edition, you get to collect Achievement Rewards which added a fun challenge. I definitely was more careful clicking objects in the HOs and only skipped one puzzle. Playing the game more carefully resulted in a long game, over 8 hours, but it was quick paced with a lot of interesting scenes to explore. 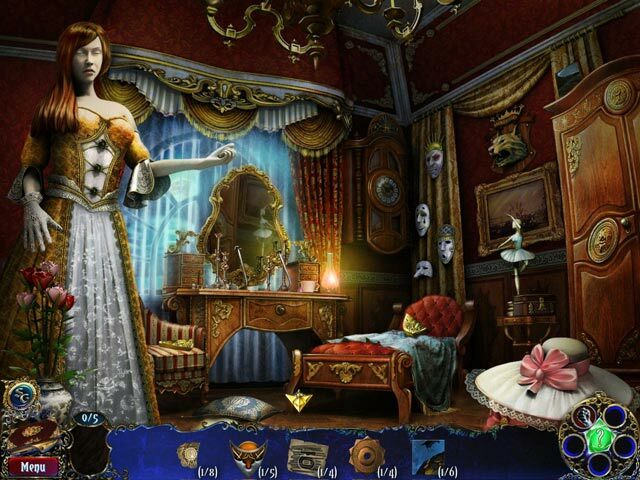 The design of this game had some unique elements and I liked that it let you know when a scene was complete and the interactive map showing scenes that needed to be completed. Very interesting story, not true to the book which was fine, but you have to get used to a more broad-minded Sherlock. There was a lot of dialog between Dr. Watson, Sherlock, and Mr. Baskerville which I enjoyed, but you can skip. This is an older game, but the graphics, sound effects, and voiceovers were very well done and there weren't too many HOs (old type, non-interactive.) Some of the scenes were a little dark, but I can't adjust the brightness of my monitor so that may not be an issue for anyone else. I would recommend playing in the hard mode because 90% of the puzzles were extremely easy. 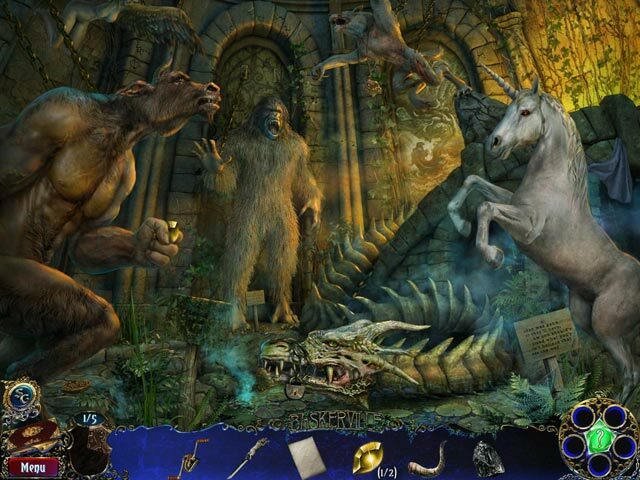 The few hard puzzles added a nice challenge and you can still skip and get hints in the hard mode. Fun game, I enjoyed it. Rated 5 out of 5 by crisgori from WOW Nice graphics, well done HOS, interesting puzzles, good length, chance to use your memory skills and no sparkles (neither HOS ) in advanced mode. I couldn’t ask for more in a SE. Rated 5 out of 5 by andreadepalma from Interesting and involved This is a well written game with loads of room exploration. Rated 5 out of 5 by cejene from Excellent! Really enjoyed this game. Colorful old curse with Sherlock to the rescue.